I have been working as IT professional for 5+ Years and knowledge and expertise of various technology to complete given task. Help writing expressions for queries and forms. I am very impressed with Mehul's ability to think on a macro level. I only focused on what I thought I needed. Mehul saw other things and added them which will result in a better database and a more efficient operation. There was good communication initially, but after four hours, communication went flat and some of my questions and concerns were not addressed and I had to exit our stream abruptly. 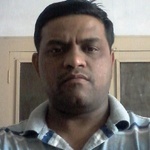 While Mehul, identify areas I did not think about, improving the overall product, the project remains incomplete. We ran out of time. I am going to see what I can do on my own, but if I am unable to make progress I will post a new job. Mehul done a great job and I would use him again. Mehul did an excellent job for me. Very quick at responding back and making quick changes when required. I would work with him and would highly recommend working with him to get the work done. Is excellent and very happy to oblige I will be certainly using his services again. Good work! will hire him again. Database of Motels in Victoria, Australia. Good work. maintaining all the instructions & timeline. Good work done. Always responsive & follow instructions. Really efficient data entry work, thanks so much!